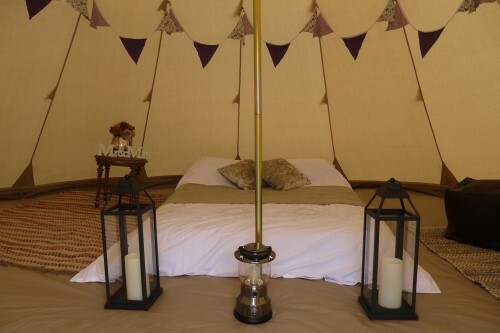 Would you like your visit to Towersey to be a little more luxurious and hassle-free? 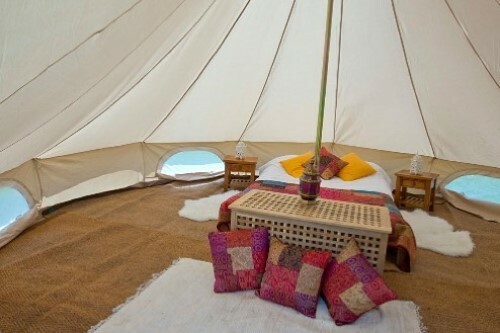 This year we have several Glamping options for you to choose from. 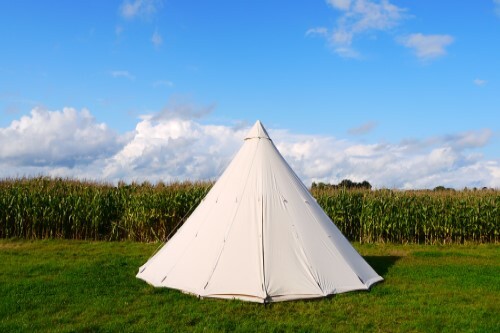 Beautiful cotton canvas glamping tipis. Includes camping mattresses, top quality sleeping bags, pillows, blankets, and a lantern. To book email hire@dreamdomes.co.uk or call Elliot on Tel 07862004455. 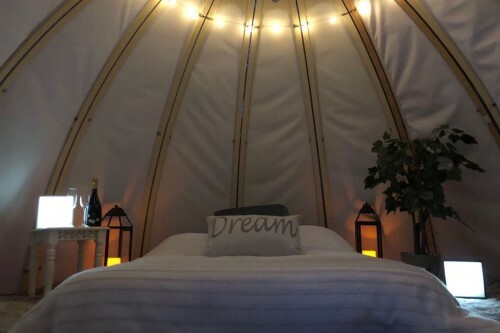 Discover the magic of night sky and watch the world go by in a fantastically unique hand-crafted dome. 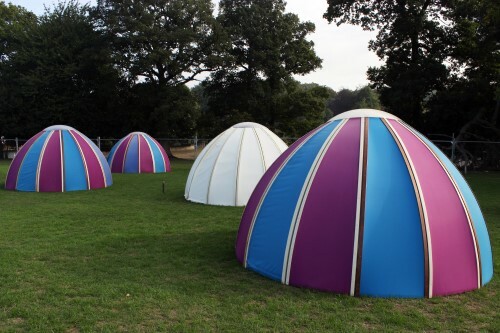 All the brightly coloured domes come with an amazing, clear star-gazing roof providing a truly memorable stay. Includes: mat flooring, camping mattresses, top quality sleeping bags, pillows, blankets, and a lantern. 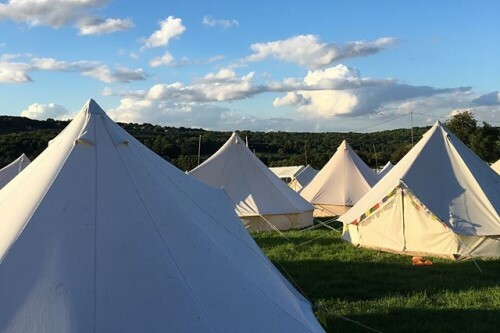 We are delighted to be working alongside Glampit again this year with their exclusive Glamping Bell Tents. But this year there will be a much more VIP feel to the area with a firepit, host tent, better layout and improved interiors. 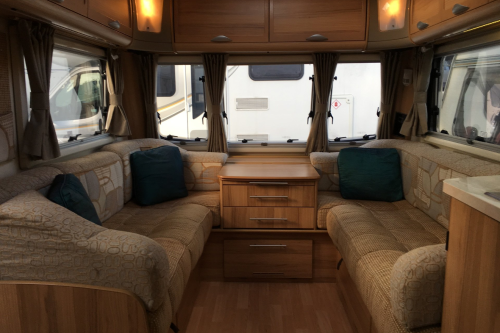 Imagine arriving on site to a fully kitted out Caravan! 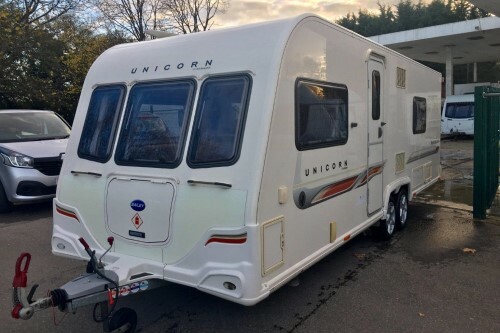 Delivered and sited at the Festival before you arrive you can book anything from a 2 berth up to 6 berth with Complete Caravans.